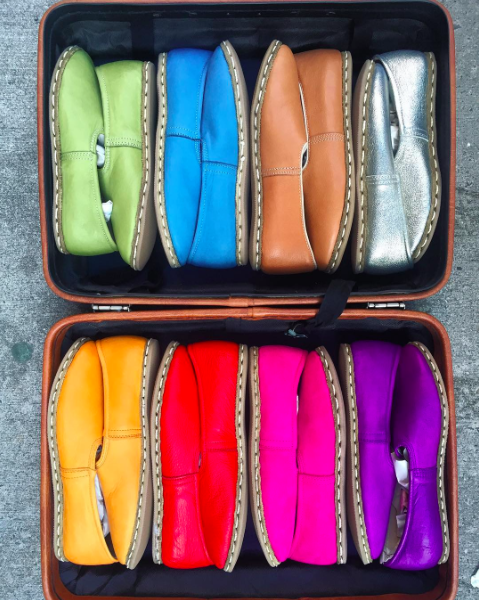 NYC-based Sabah is celebrating spring with a tour of the South and stopping in Durham for an evening of cocktails and fittings of their magical shoes in the penthouse. Stop by, check out the penthouse (and its private terrace), have a drink, and seriously step up your shoe game. Every pair of Sabahs is handmade by shoemakers in southeast Turkey from specially tanned leathers that age gracefully only getting better and more comfortable with time. The charm of Sabahs is found in the subtle imperfections of the craftsmen’s work and distinct character of every hide of leather meaning no two pairs are alike. More information on Sabah shoes at sabah.am.